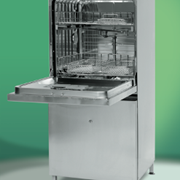 The SANITECH Series 9000 Utensil Washer disinfector delivers flexible thermal and chemical disinfection for a wide range of surgical equipment. 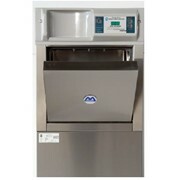 Backed by full cycle data logging and built to stand the demands of even the busiest hospital; the Series 9000 Washer disinfector delivers reliable instrument disinfection day in, day out. 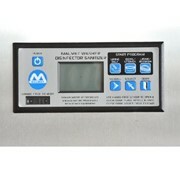 Designed in accordance with the requirements of Australian Standard 2945. 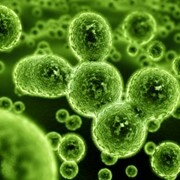 Computerised control ensures Guaranteed Uniform Washing & Disinfection. 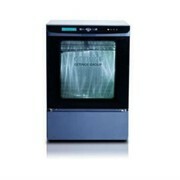 Also Programmed in accordance with the requirements of Australian Standard 4187. 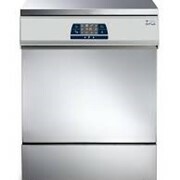 Pre-rinsing stage 5 minutes, drain, hot wash stage with liquid detergent at 55ºC, 5 minutes, drain, hot rinsing stage at 65ºC, 2 minutes drain, disinfecting stage 80ºC for 10 minutes, drain. 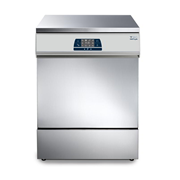 The SANITECH Series 9000 Washer / Disinfector, has the "Seal of Approval" from the Department of Health. Alpha numeric characters keep you informed of temperature and stage position throughout each cycle. From the menu, select the program required then start, and the memory does the rest. If you want to use the same program again just push start. It’s so easy. Spray system consists of eight highly effective spray zones, which ensure the whole load is really clean. Stainless steel racks that will stand the test of even the busiest hospital. Baskets that roll out effortlessly even with a full load. 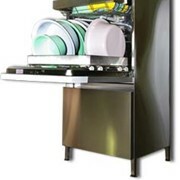 The upper rack slides smoothly on four wheels along a ball bearing strip with rubber end stoppers. The lower basket glides smoothly on eight wheels all the way across the door, making loading and unloading easy. The whole basket can be easily lifted out. A first in infection control management, as paper printouts no longer comply with ISO 15883 Standard which is the International Standard for validation, Sanitech have introduced Data Logging into their range of Washer / disinfectors. Sanitech’s Data Logging stores cycle information electronically enabling complete retrieval and management via PC. For more information or a qoute on the Sanitech Series 9000 Thermal Utensil Disinfection Washer please call or email for a direct reply. Welcome to Sanitech Australia, a leading Australian supplier of washer, disinfection and decontamination equipment for hospitals, aged care, day clinics, dentistry and other medical environments. With over 30 years of supplying operating theatre lights and dirty utility room equipment, we truly understand hospital infection control and that knowledge and expertise has progressively refined every Sanitech product into Australia's best medical cleaning and drying equipment. Combined with the highest level of support and service, we are serious about infection control and we've got the range to prove it. 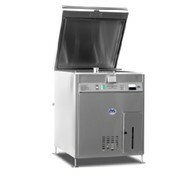 Instrument Washer Decontaminators, Bedpan & Bottle Racks, Blanket Warming Cabinets, Fluid Warming Cabinets, Instrument & Tube Drying Cabinets, Stainless Mesh Instrument Baskets, Surgical Instrument Washer Decontaminators, Utensil Washer Decontaminators, Podiatry Washers, Thermal Disinfection and Dirty Room equipment. Of course, everyone is still interested in "the bottom line" and our products represent the best value for money from quality equipment that complies with each applicable Australian hospital standard. We are an Australian owned company and Sanitech products are proudly manufactured in Australia to meet Australian hospital demands. 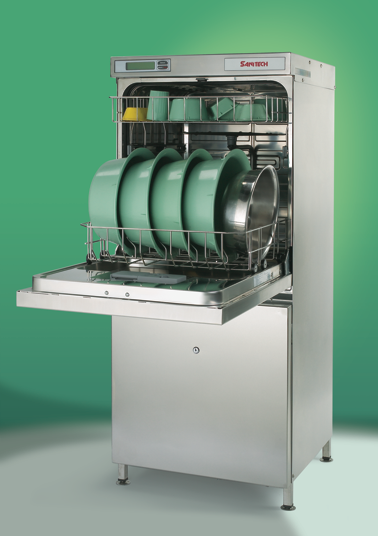 Is your washer, disinfection and decontamination equipment compliant? Mention MedicalSearch so Sanitech Australia can best assist you! Get a callback from an expert at Sanitech Australia to help answer your questions.